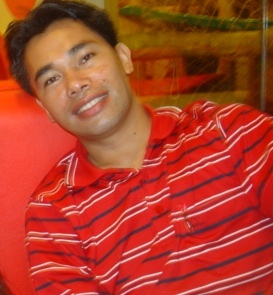 The iGorot Preacher: My 40-Day Fast and How I Managed it! My 40-Day Fast and How I Managed it! Two years ago this month, in 2010, I embarked on a 40-day fast and completed it successfully. 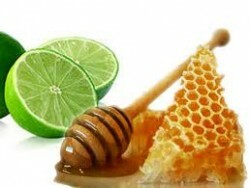 I drank only squished lime juice and honey from day-one up to day thirty-eight. Lime juice and honey had given me enough energy to go from day-one up to day-38. At times, the temptation to quit and break my commitment was strong. Everyday, I had read lots of article on the web about fasting so that I could stay motivated. On my 35th day, I thought, 'wow this is manageable, Maybe I could go more than forty days'. But I was wrong because on my 36th day, I experienced something like a 'eternal' spitting. Every minute, my saliva just keeps building up inside my mouth and I couldn't stop and hold it but to had spit. I kept tissue and handkerchief handy. While, at work, driving, or with people, I have my handkerchief at all times. I thought yak...this is very disgusting. Not only disgusting but surely something must be wrong, so I decided to stop the lime juice and honey on my 38th day due to unstoppable and incessant spitting. On my 39th day I consumed only fresh watermelon juice. On my 40th-day I to ate a few grape fruits and some oranges. I felt I just had to break my fast, I can't go on like this! So I had to drink something other than lime and honey; not because of hunger or lack of strength but because of my incessant spitting. 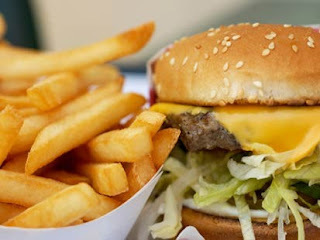 Appetite is one of the hardest human drives to control. Just the thought of one day without food plagues one's thinking. Too many advertisement is devoted on food. When I was new on Facebook, lots of photos being posted are food related events. Just watch the commercials on TV or see the food counter. Everything is focused on satisfying our appetite. When you go to the mall, scan the people how many overweight you can find. This are just one of the evidence that appetite is hard to discipline. To deny yourself for food is not a pleasant experience. A friend of mine tried one-day water fast and he didn't last for 24 hours. When the evening came, he wished its morning so he could resume eating. He finally he got up at 11:00 PM and went to the street and look for something to eat. He confessed, it was very hard to go one-day without food. This 40-day fast wasn't as hard as I thought it would be because I consumed lime and honey every day. The hard thing was because April-May is a wedding season in Cambodia. I had to go to five weddings and some birthday parties without tasting the delicious food. I sat on the table but drank only the water served. Talking about spiritual matter, I didn't become more spiritual after the fast. I didn't gain more spiritual power when I did my forty-day fast; I wish I had. The only visible sign after the fast was my physical appearance; I lost 21 kilos during the 40-day fast. After few months, however, I regained my weight! I look unhealthy as I became skinny. In Cambodia, to lose weight that quick, you have been infected with HIV. Thus, my neighbors thought I must have AIDS to lost weight so quickly. They were mistaken of course. On the fourth week of February 2011, God impressed in my heart to fast for pure spiritual reasons. There are fours reasons I wanted this fast. First, Personal Holiness, second, Passion for God, third, Providence of God for future Ministry, Fourth, Power for Ministry. These four reasons were very personal. Fasting does not make one more spiritual, although others claim it does. It does not make you more godly. As Christian though, fasting of course is an spiritual discipline that deeply involves the physical realm! I did a 10-day fast.